Why Choose Shapiro Vision Center ? 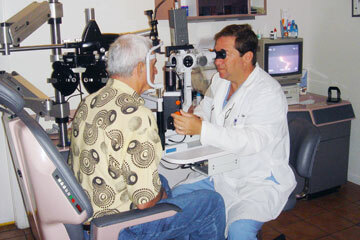 Shapiro Vision Center is regarded as a leading eye care center in Miami. Doctor Shapiro has helped thousands of people enjoy better vision. We are committed to excellence because patients in not just Miami, but patients from all over Florida, the United States and the World turn to us for answers and for the best eye care treatment available. Shapiro Vision Center invests in the very latest laser, surgical and pre-op testing equipment available on the market. 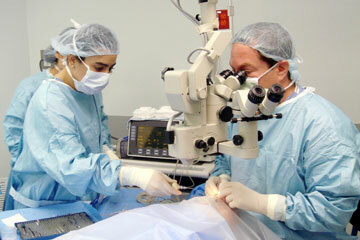 From cataract surgery to cosmetic surgery to the treatment of retinal diseases . Shapiro Vision Center invests in the most high-tech equipment available. "Doctor Shapiro and his team are among the most experienced and well-trained ophthalmic surgeons in the entire country. They have performed thousands of surgical and laser procedures (over 25,000). He is board-certified by the American Academy of Ophthalmology and has been a long-time member of the American Academy of Ophthalmology." Shapiro Vision Centers' privately owned and operated surgery center, Coral View Surgery Center, is a state-of-the-art ambulatory surgical center that meets or exceeds all hospital operating room standards for safety, sterility, technology, and quality outcomes. Its elevated standard of care may serve as a prototype for 21 st -century surgical environments. The Coral View Surgery Center is regulated, inspected, licensed, and certified by Agency for Health Care Administration (ACHA) for the State of Florida and the Federal Government. It is certified and licensed by the Federal Medicare Program . It is manned by a surgical assistant team that has worked exclusively with Doctor Shapiro for years. Every member of our Shapiro Vision Center team is dedicated to providing excellent patient care. Our motto is "Patient Care First", and we will work hard to make you feel like you are our priority throughout every step of your care with us at Shapiro Vision Center .